In this paper I will demonstrate that Lacan's concept of paternal metaphor was introduced to complete Freud's attempt to give a better explanation for hallucination and delusion than the classical psychiatric explanations. I will therefore start my paper by analyzing the difficulties inherent in the classical (and the common sense) understanding of hallucination. Given Lacan's professed dependence upon Freud, I will explain Freud's interpretation of Judge Schreber's hallucinations and delusions. I will indicate what I consider to be an important methodological advance of Freud's view, but I will also indicate the fundamental shortcomings of his view. Finally, I will consider Lacan's theory of paternal metaphor. I will show how that theory takes as its starting point two important phenomena in Schreber's delusion not incorporated in Freud's theory. I will further indicate that Lacan's theory depends historically upon an acquisition of phenomenological epistemology. I will also reflect on ambiguities and incorrect interpretations of the paternal metaphor. In searching for a defensible interpretation of the concept of `paternal metaphor' I will propose a reading that differs from Lacan and which I believe to be more in accord with the phenomenological requirement that gave Lacan's theory of hallucination and delusion its philosophical foundation. In the conclusion I will make a brief reference to Sartre's view of the unconscious which I will both accept and correct. 1. The problem of hallucination. 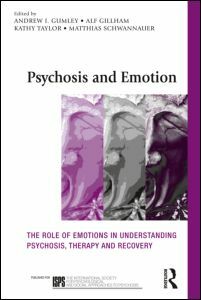 In the Comprehensive Textbook of Psychiatry we find the following definition of hallucination:" A hallucination is the apparent perception of an external object when no corresponding real object exists- that is, an internal psychological event is mistakenly attributed to an external source. A dream is a simple example of a hallucination in normal experience. "(superscript: ) In the glossary of the same textbook we find essentially the same definition with other words:" Hallucination. A false perception without a concrete stimulus. It can be induced by emotional and by organic factors, such as drugs and alcohol. Common hallucinations involve sights or sounds, although any of the senses may be involved. "(superscript: ) The above view of hallucination is a phenomenologically false description even though it is a classic psychiatric description and even though it corresponds with the common sense understanding of hallucination. When a claim is made from one philosophical tradition , in this case the phenomenological one, that a view defended by common sense and by a specialized field of knowledge, in this case psychiatry, is false then arguments need to be presented. 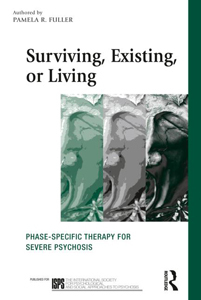 A first argument against the above definition of hallucination can be developed from a consideration of Binswanger's view of schizophrenia, provided one accepts that there is a family resemblance between the concept of hallucination and of delusion(superscript: ). Binswanger tells us that the central problem of schizophrenia is the problem of delusion and more specifically the delusion of persecution. (superscript: ) For him, delusion is interpreted as the most profound and serious capitulation of the subject, because in it the schizophrenic accepts to become the play-thing and victim of foreign powers. (superscript: ) Binswanger's view, however, encounter a fatal objection in the generally recognized fact that delusional schizophrenics, especially the acutely delusional ones are better of and can anticipate a less pessimistic future than the non-delusional ones. (superscript: ) Defining delusion as giving up contact with reality and seeing that its presence in a schizophrenic is a criterion of hope forces us minimally to state that there must be more to delusion than giving up contact with reality. Minimally we must state that talk about delusion as belief without warrant in reality is an incomplete description which in its incompleteness allows for a false theorem about schizophrenia as formulated by Binswanger: delusion is the final phase of the schizophrenic illness. Thus Schreber explicitly claims that he locates hallucinations (delusions) and perceptions in two different worlds. If one treats hallucinations (delusions) as failed perceptions (false beliefs) one can construct a convincing argument for committing someone to an asylum. Schreber's contention is that placing someone under tutelage for hallucinations (delusions) is unacceptable because hallucinations (delusions) are separate in his case from the world that the law regulates. 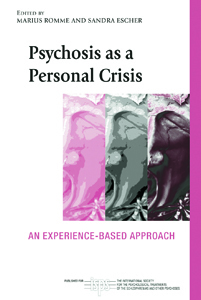 Hallucinations (delusions) should therefore be looked upon as activities in their own right not just as failed perceptions or false constructions.
. Comprehensive Textbook of Psychiatry, p.807.
. Both delusion and hallucination concern the belief of a subject in things that are held to be false by the community. A delusion is more elaborate. A hallucination is more concrete and involves the claim of seeing something when it is not present. A delusion often has as an element an hallucination. Thus as part of his delusion Schreber believed that he saw his breasts becoming female breasts. I offer this example of the connection between delusion and hallucination even though psychiatrists may refuse to call this phenomenon an hallucination and may require the claim of seeing for instance a lion before using the concept hallucination. To push my point I might have to argue that hallucination is a polar concept whose essential meaning applies to a whole series of phenomena. . De Waelhens, Schizophrenia, 41, summarizing Binswanger without giving references. It is technically more correct to talk about delusion of persecution than about delirium of persecution. 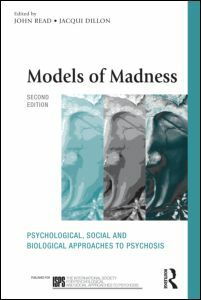 (Comprehensive Textbook of Psychiatry, 2582). Thus I corrected the references to Binswanger's ideas accordingly.
. De Waelhens, Schizophrenia, 221-2.